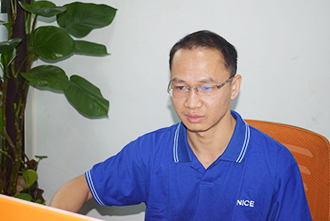 We have a new member of the team to introduce to you – please welcome James Yang, who is a very clever and talented Project Engineer. Not only is James smart, but he is also really nice, so please do not hesitate to give him a call or drop him an email to say hello and introduce yourself. James graduated from Ezhou Polytechnic with a degree in Machine Manufacturing Technology & Equipment in 2000 and has been employed in engineering ever since, with more than 12 years’ experience in engineering, tooling and injection moulding. He worked as a mechanical technician after graduation and, finding this too easy after 2 years, decided that his next step was to become a product designer. However, the lure of injection moulding and plastics was too great and his next move was to become an Export Mould Designer, which he liked so much, that he didn’t decide to move on for another 8 years! Well, we all know that plastics and moulding are pretty interesting and, once you get involved, there’s no way out. However, James still wasn’t satisfied and continued his stellar career as a Tool/Component Project Tracer, before progressing into management in 2012. This is where he stayed until NICE Rapid came calling and he decided to join our happy family! 4) Mould flow analysis and its bearing on finished product quality. Welcome to the NICE Rapid family, James, we hope that you enjoy working here as much as we do!